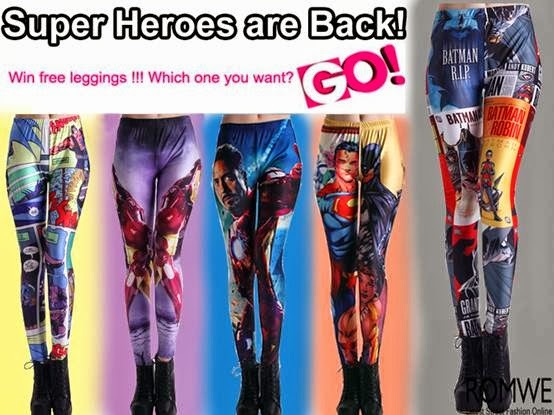 Ri(t)ch Styles : Indian Fashion, Beauty, Lifestyle and Mommyhood Blog: Super Heroes Leggings Giveaway from Romwe! Entries will be validated before the winners are declared. Giveaway open worldwide. Ends on 10th October 2013!